Sobha International City: Enjoy the world-class lifestyle at the superbly designed residential project! 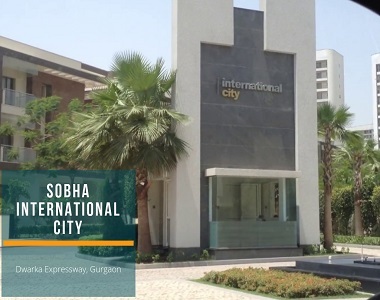 Sobha proudly comes up with an exclusively designed residential community Sobha International City stationed in the lush locales of Sector 109 in Gurgaon. The grand development is marked by proper space planning, flawless execution and finest niceties of life that match the requirements of the connoisseurs of luxury living. Conceptualized and designed by a team of experts using high-quality construction materials, the sophisticated apartment living complex allows smooth functioning of the daily lives of the residents. Sprawling over an enormous 38 acres of land area, the property offers residential villa apartments formats covering 3074.42 sq. ft. to 7330.89 sq. ft. The campus comprises of 25 stately towers that have G+25 formats. The air-conditioned residences are bedecked with latest and stylish interiors. The homes are bright, airy and well-lit with ample sunlight illuminating all corners of the house. The super-spacious living spaces promise convenient living experience. The awe-inspiring development Sobha International City Dwarka Expressway incorporates amazing amenities that include 2 lavish clubhouses specially designed for only 1600 families. The plenty of astounding external amenities include a 25 m long swimming pool, state-of-the-art gym, library, party green areas, an amphitheater, party hall, play area for children, traffic-free cycling, basketball courts, volleyball courts, badminton courts, tennis courts and an exhilarating joggers’ track. The highlight of this project is the 90 m diameter cricket ground well-surrounded by 85% open greens. Comfort and convenience is something very normal in this exuberant residential community. The systematically designed tree-lined walkways, well-designed internal roads, and other green initiatives enhance the beauty of the site and keep your heart healthy. The safety of the township in ensured with video door phones and access control at the entrance. Meticulously planned and loaded with world-class infrastructure, the property offers a blissful living experience. Sobha International City price for these elite living spaces starts from Rs 3.74 crores and gradually moves up to Rs 9.41 crores. There are several easy installment options and attractive home loan facilities offered by the developer. Comfortably located in Phase 1 of Sector 109, in Gurgaon the property lies close to Indira Gandhi International Airport, New Delhi. It is 25 minutes’ away from the posh areas of South Delhi like West End, Vasant Vihar, Shanti Niketan and other business zones of the Millennium City. Stationed next to the imminent Dwarka Expressway, the property is poised to be the next big destination of Gurgaon. 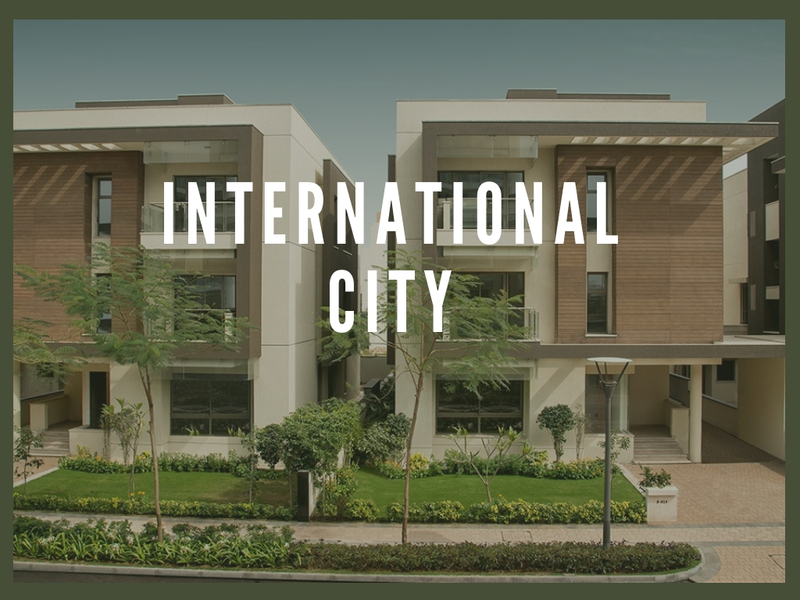 To sum it up, the premium residential project Sobha International City Gurgaon is a wise investment option for those who aspire to live a luxurious lifestyle at this promising location. Fully Fitted Vrv Air Conditioning. 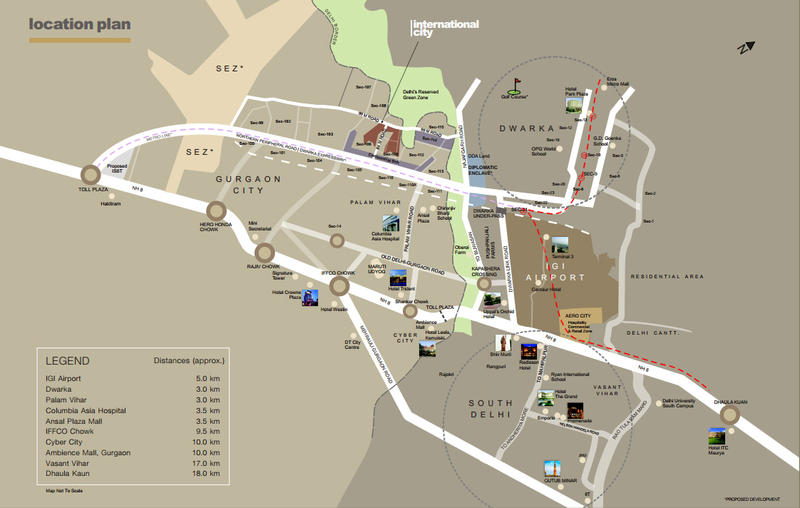 Located at Sec-109, Dwarka Expressway, Gurgaon. 20 mins drive from Cyber City, Gurgaon.